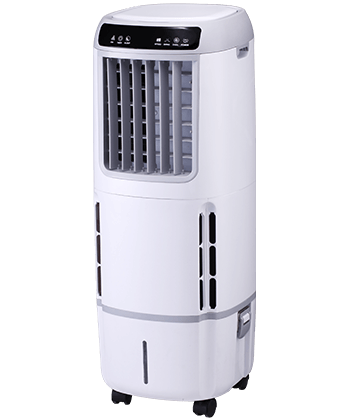 If using an Portable air cooler continuously for a long time without changing the water, it will cause unpleasant odors, even affecting the health of users because the water is no longer hygienic. in hot and humid climates, dirty water tanks, which are not regularly cleaned, are the ideal conditions for bacteria to grow. Therefore, you should periodically empty the water tank and sanitize the water tank approximately every 3 days. you must ensure that the water tank is always clean so that it does not become the ideal environment for bacteria to reproduce. Unplug the cooler and turn off the water. Then take out the panels and air cooler cooling pads. Open the drain plug if the portable air cooler has one. If a detachable water tank, it would be an easy job. 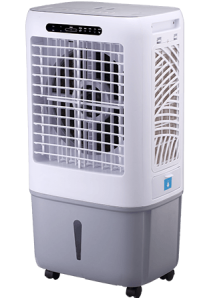 Use a soft cloth or sponge to sweep the inside of the air cooler. Some Debris can get inside it. As it will cause blockages that stop up the cooler, and may lead to unclean water cycling through it. 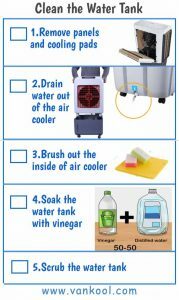 Step 4: Soak the water tank with vinegar. Fill the tank with a 50/50 solution of water & vinegar, Let the vinegar sit in tank for an hour. You can also rinse the water tank with mild soap and warm water. Step 5: Scrub the water tank. Use brush or cloth to clean the bottom of the water tank. Rinse with clean water after you finish scrubbing. 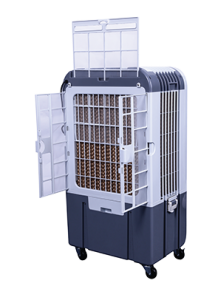 Cooling pads (also known as heat exchangers) are important components in the operation of the fan to ensure that the Portable evaporative cooler operates normally, you should clean the cooling pads once a month. Submerge them in a mixture of water and lemon juice for 30 -60 seconds. Vinegar works just as well, clean pads by combining water and vinegar in a 50-50 ratio solution. Note: Use Vinegar, but the smell can soak into your cooling pads and can be very difficult to remove. Once cooling pads have been thoroughly soaked, rinse thoroughly and then set them aside to dry. As the pads need to be dry completely before you put them back in the portable evaporative cooler. 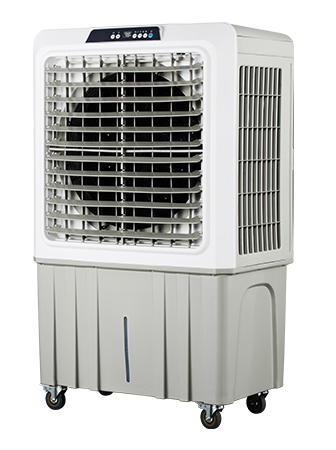 If your air cooler is not cooling as much as it did in the past, To solve the problem, an economical solution would be to replace the pads. However, it does not solve the problem; it is recommended to move on to more troubleshooting. Generally, pads may not be required to be changed every year. 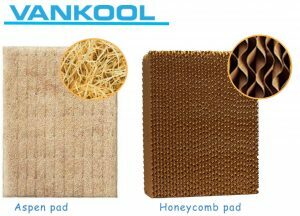 However, Evaporative cooling pads vary on their lifespan. 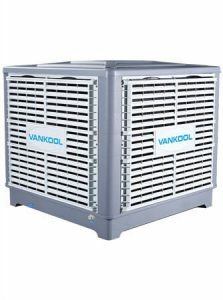 It depends on how long and how often the cooler is used. The quality of the water supply also affects the lifespan. If the pad has lost its thickness, or you notice fraying material, you should definitely replace it. Every few weeks, you should clean the outside of the swamp cooler. Turn off the unit. Use a damp cloth to clean off the outside of the unit. Just use water. Don’t use any harsh chemicals that may cause damage. 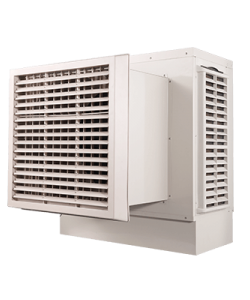 Filters are usually installed in the back and sides of the fan (both vertically and horizontally). You can also rinse the filter with mild soap and warm water. Rinse it well. It is recommended to clean the filter once a month. 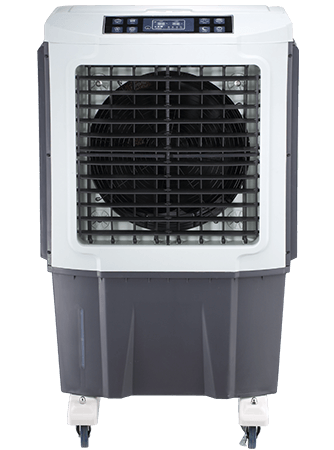 Evaporative coolers can have musty smells. 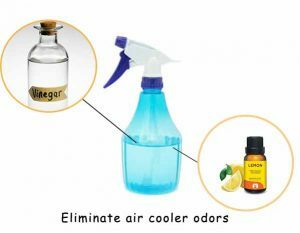 It is a good idea to add essential oils to help make the portable cooler smell better. Mix 15 drops of a scented essential oils with vinegar and place it in a spray bottle. Spray the essential oil mixture into the air cooler after you have cleaned it. Check the mechanical parts. While you have the swamp cooler apart, use a few drops of lubricating oil on the motor and fan. Use a few drops to lubricate the parts. After a long time of use, the fan can be stuck so you need to pay attention to hygiene. However, when cleaning the fan, you need to use a damp towel to wipe it clean, avoid washing directly with water because it contains the panel and the led display. Fan should be cleaned once a month. 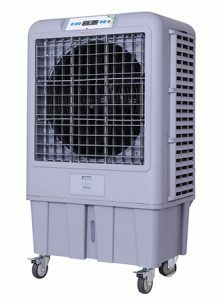 Before cleaning the air conditioner fan, you need to turn off the equipment and unplug the power supply. Do not use too strong detergents. Pay attention to hygiene so as not to leak the electricity into the engine causing a fire. After cleaning, dry the components before re-fitting and using.